Homeschooling blogs can be wonderful sources of information, ideas and inspiration. Here's a list of my favorite homeschool blogs, along with information about the benefits of blogging. Heart of the Matter Online - Heart of the Matter offers Christian homeschool encouragement from some of the the most popular authors and bloggers in the homeschool community. HOTM also publishes a free online magazine and hosts an online homeschool conference. Homeschool Math Blog - The Homeschool Math Blog is maintained by Math Mammoth creator, Maria Miller. 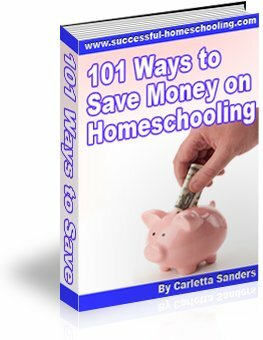 This blog features articles, worksheets, teaching tips, product reviews and videos to assist homeschoolers with math instruction. Simply Charlotte Mason - Although this blog provides information based on the popular Charlotte Mason homeschooling method, its authors share helpful teaching tips and resources that can benefit any homeschool family. The Home Scholar - At The Home Scholar, veteran homeschooler Lee Binz shares tips for teaching teenagers, homeschooling high school and applying for college. In 2008 and 2009, Lee received the Homeschool Blog Award for Best Business Blog. Why Homeschool - Why Homeschool hosts a weekly blog carnival known as the Carnival of Homeschooling that serves as a fun and easy way to find great blogs to follow and promote your own blog. Write Shop - At Write Shop, homeschool veteran Kim Kautzer equips parents with the tools they need to overcome writing challenges and help their children build a strong foundation in writing. Starting your own home school blog is a wonderful way to keep a record of your family's activities adventures, keep friends and family members updated as to your children's progress, and share tips and ideas with other homeschoolers. Helping your children start a blog can be a great way to help them develop their writing and computer skills. And for some families, blogging can provide a part-time or full-time income. My early efforts at blogging eventually led me to build this website as an encouragement to other homeschoolers. You can read more about my journey from blogging to building an online business here. Follow this link to check out my homeschool blog!